Pachinko is considered to be the other game of Japanese slots. Alongside pachisuro it is considered to be one of the most popular slots games in Japan. Japanese slots are sure to differ from those of the USA, the UK slots or Australian most popular pokies, however, they are of high demand in Japan. 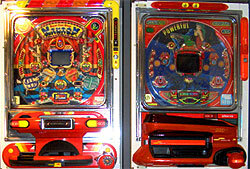 Pachinko is considered to be the extraordinary blend of the ordinary slot machine and the pinball game. The gamer is considered to be quite passive in the process of playing pachinko. The gamer actually should only control the speed of the game with which many smaller balls made of steel are to be thrown into pachinko machine. It is essential to know that the majority of the steel balls are known to be just falling down the pachinko machine and vanish. However, a few of them may find their ways to the special holes. Pachinko machines may be easily found in special pachinko parlors in Japan. In addition, a lot of pachinko machines are situated just around the corner alongside the ordinary slots. Each gamer can easily recognize the gambling parlors as they are very brightly illuminated and colorful at night. They are indeed the alluring halls. Inside, it is always smoky and aloud duet o the crowds of people gambling. Both men and women are known to be playing pachinko, and they say that there can be found even few pachinko gambling professionals among them. This is going to activate a kind of slots. The same as in the ordinary American style slot machine, the gamer can win in the case if similar three slots symbols appear on the screen. It is crucial that this may occur pretty rarely in pachinko. However, if it happens, the gamer wins some countless new steel balls. 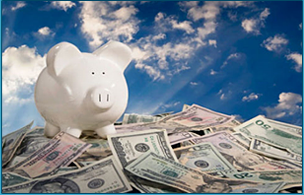 If simply playing, for example, for 5 hundred or 1 thousand Japanese Yen, the gamer may just most likely watch all the steel balls disappearing within a moment of the game. If the gamer wins the balls, he an easily exchange these balls into particular goods that are considered available in the gift shop of the parlor. Notwithstanding the fact that pachinko gambling is prohibited by the law in Japan, the gamers still can bypass it by means of exchanging the balls into the particular goods, which later on can be again changed into the cash. In Japan it is no longer a secret. Every sophisticated gamer can make it, indeed.